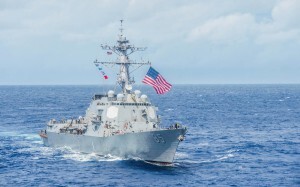 A US Navy guided missile destroyer the USS McCampbell, which is based in Japan, and a Royal Navy frigate, HMS Argyll, which is on a tour of Asia, conducted communication drills and other exercises from Friday to Wednesday “to address common security priorities”, the US Navy said in a press release. “There’s no record in recent history of operations together, specifically in the South China Sea,” a US Navy spokesman said. No such joint drills have been conducted there since at least 2010, he added. The exercise comes after another British warship, the 22,000 tonne HMS Albion, sailed close to the Paracel island chain claimed by China in the South China Sea in August. It was the first time Britain had directly challenged China’s growing control of the strategic waterway and came after the United States said it would like to see more international participation in such action. Beijing accused London of engaging in “provocation”. 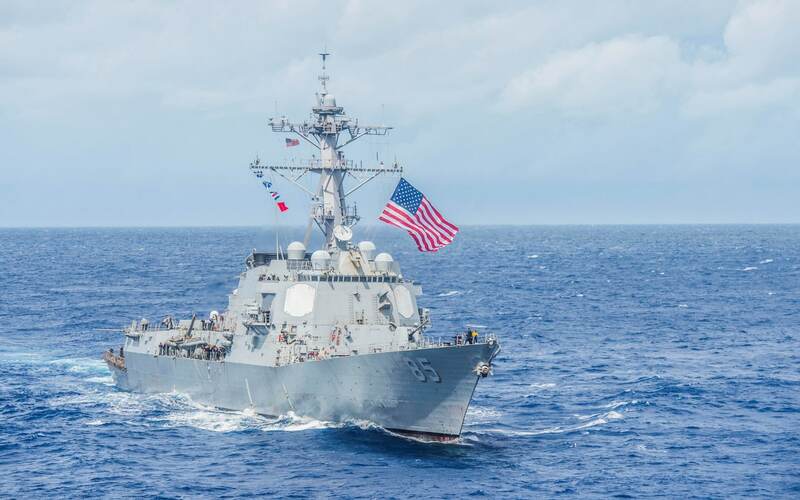 The McCampbell this month passed within 12 nautical miles of the same island chain in a freedom of navigation operation, which the US Navy said was to “challenge excessive maritime claims”. China’s claims in the South China Sea, through which some $3 trillion of shipborne trade passes each year, are contested by Brunei, Malaysia, the Philippines, Taiwan and Vietnam. Neither the United States of Britain has territorial claims in the area. Pictures of China’s island bases released last year appear to show truck-mounted surface-to-air missiles or anti-ship cruise missiles. China’s air force has also landed bombers on disputed islands as part of a training exercises in the region.